The Museo del Prado and the Boijmans Van Beuningen Museum are presenting the exhibition Rubens. Painter of Sketches. Sponsored by Fundación AXA and with the collaboration of the Government of Flanders, it offers an analysis of Rubens as the most important painter of oil sketches in the history of European art. Of the nearly 500 oil sketches executed by Rubens over the course of his career, this exhibition includes 73 loaned from leading institutions world-wide, including the Louvre, the Hermitage, the National Gallery and the Metropolitan Museum, and also from the collections of the Prado and the Boijmans (which have two of the largest holdings of this type). On display for four months in Room C of the Jerónimos Building, the sketches are shown alongside a number of prints, drawings and paintings by Rubens which provide a context for them, bringing the total number of works on display to 93. Following its showing at the Prado, Rubens. Painter of Sketches will travel to the Boijmans Van Beuningen Museum in September. 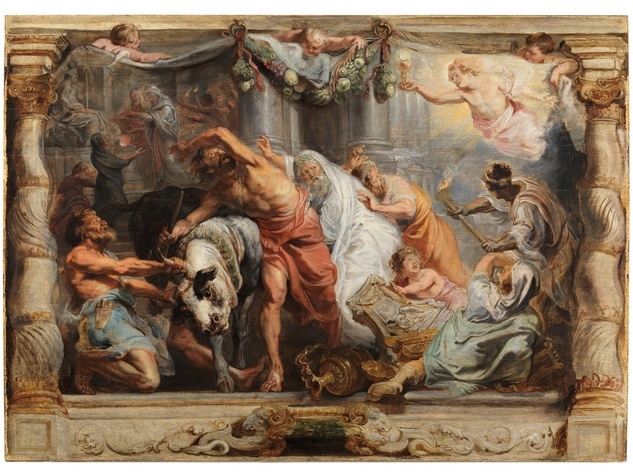 In addition to focusing on the importance of Rubens within the history of the oil sketch and facilitating an appreciation of the unique qualities of his works of this type, the exhibition Rubens. Painter of Sketches presents the results of an exhaustive research project directed by the exhibition’s two curators: Friso Lammertse, curator of Old Master Painting at the Boijmans Van Beuningen Museum, and Alejandro Vergara, chief curator of Flemish and Northern schools painting at the Museo del Prado. The conclusions of their study are presented in the exhibition and also form the basis of the accompanying publication. The practice of producing oil sketches within the process of creating a painting began in 16th-century Italy. Artists such as Polidoro da Caravaggio, Beccafumi, Federico Barrocci, Tintoretto and Veronese were the first to make use of painted oil sketches as vehicles to try out their ideas when devising a painting. However, their use of such works was limited, given that drawing was their principal preparatory method. 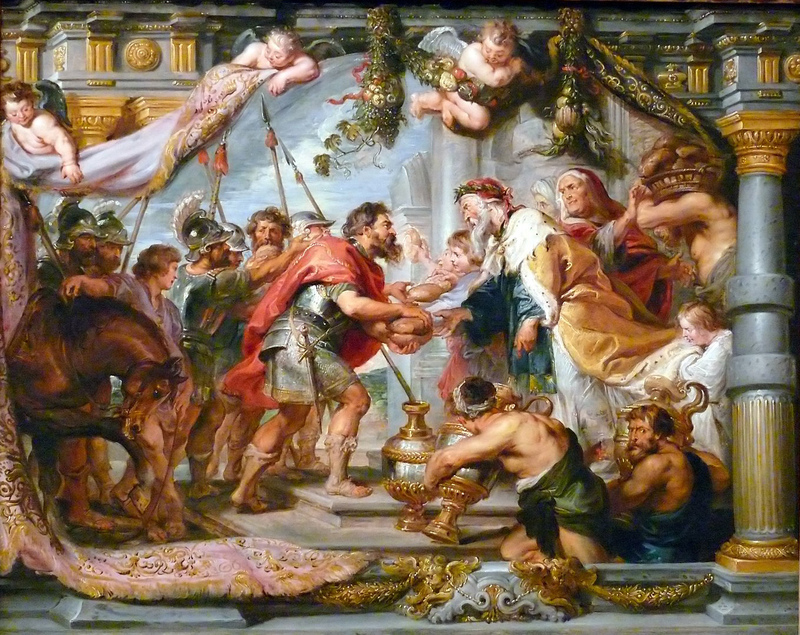 Basing himself on these precedents, Rubens’s innovative contribution consisted of developing this preparatory process and making systematic use of images painted in oil and on more durable supports than paper. Rubens used some of these sketches to elaborate his ideas on new compositions, or often to show to clients or as a guide for his assistants and collaborators. Depending on their different purposes, these sketches could be very sketchy or highly finished, as well as small or relatively large. They differ from the rest of the artist’s pictorial output in that they are less highly finished and detailed, the paint layer is thinner and the preparatory layer is frequently visible. Rubens thus transformed the oil sketch into a fundamental part of his creative process, and the nearly 500 surviving examples by his hand reveal him to be the most important artist of this type of work in the history of European art. 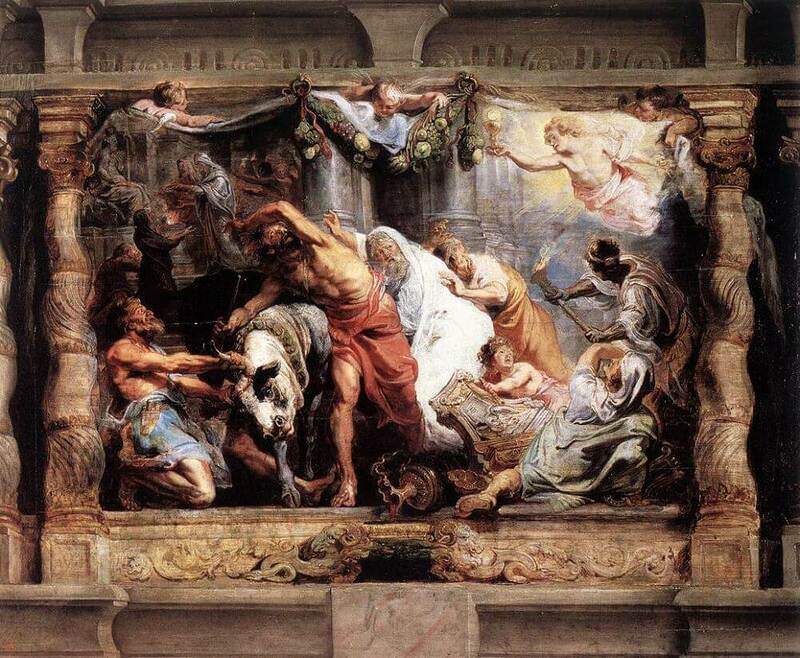 The Triumph of the Church over Fury, Discord and Hatred is a c.1625 painting by Peter Paul Rubens, now in the Museo del Prado in Madrid. and the Eucharist Series from the Prado’s own collection, accompanied by an oil sketch loaned from the Art Institute of Chicago. The six oil sketches in the Prado from the Eucharist Series were the subject of an important restoration project in 2014. The results were presented to the public in the exhibition Rubens. The Triumph of the Eucharist as part of the Museum’s Restoration Programme sponsored by Fundación Iberdrola. Also on public display for the first time is a manuscript copy of a lost sketchbook by Rubens known as the Bordes Manuscript which includes texts and drawings. It is the most important of the four known copies of the manuscript, which in addition to being a direct copy of the original contains two original drawings by the artist, one of them a study for the colossal sculpture known as the Farnese Hercules. The notebook entered the collection of the Prado in 2015 as a generous donation by the sculptor, architect and art historian Juan Bordes.